Queensland’s capital, Brisbane, an hour’s drive from Surfers Paradise, is Australia’s third largest city, former site of a penal colony from 1824. Penal transportation ceased in 1839 and free settlement was allowed from 1842. Today, Brisbane is a vibrant city with a vast array of landscapes and cultures in its many precincts. Brisbane River forms the backbone and a great way of seeing the city is by cruising on a CityCat, as the river ferries are fondly called. We meet Brisbane Greeter, Lynn Rowley (Greeters are local volunteers who are familiar with hidden corners of the city and make authentic guides). On the river ferry, she identifies iconic and historic landmarks like the Customs House with the copper dome that taxed goods coming into the developing colony when the only source of transport was the river, today restored for functions and conferences. We pass the landmark Story Bridge, named after John Douglas Story and built by engineer John Bradfield who also built the Sydney Harbour Bridge. On the Story Bridge Adventure Climb, you can scale this iconic landmark to 80m above sea level for breathtaking views of the city. We pass New Farm Park where the free settlers grew their food, the old wool stores and sugar mill restored into apartment complexes, the Powerhouse originally built for electricity to power the tram system, today redeveloped with theatres, cabaret venues, dance studios, galleries, bars and cafes. After a brief stop at Bulimba, we head back past the Kangaroo Point Cliffs, the riverside Man and Matters sculpture, the fine dining precinct of River Quay and the Southbank Parklands which until 1890 formed the main centre of Brisbane (until the floods of 1893 when the city moved to the other side of the river). Today a park, the area became the site of World Expo 88, a six-month event in 1988 that changed the small-town mindset of Brisbanites who were suddenly exposed to international flavours, sights and sounds. Everyone, even today, talks about the expo as if it were yesterday! South Bank, we discover, is where the galleries, theatres, restaurants, parklands and, amazingly, an inner city beach, are located. Here too is the Wheel of Brisbane which offers a bird’s-eye view of the city. We walk past Plough Inn, built in 1860, one of the earliest pubs which boasts not one but two ghosts. We meander through the intricately-carved Peace Pagoda, a remnant of the expo, which took 140 Nepalese families two years to complete. We walk past the Queensland Performing Arts Centre (QPAC), Queensland Museum and Sciencentre and pop into GOMA to witness some interesting art works inspired by Aboriginal life. Beyond, River Quay and Little Stanley and Grey Streets offer a veritable culinary adventure. 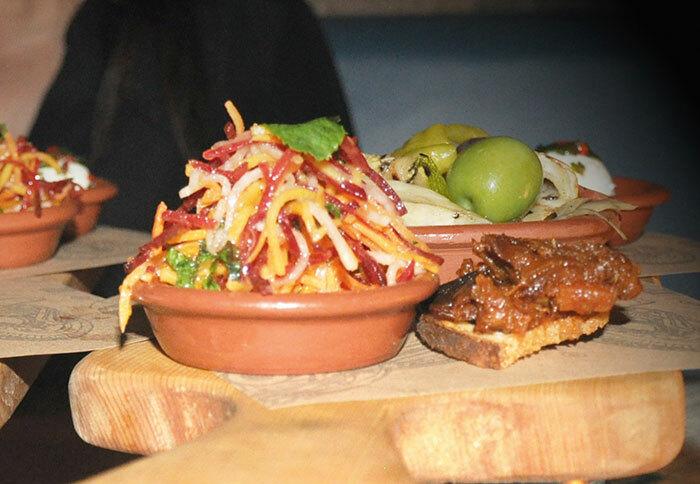 Celebrity chef Jamie Oliver’s newest Jamie’s Italian on Edward Street, bustles and hustles on the Friday night that we visit. Spread over two floors, we are seated on the lower one where an open kitchen and warm wood tones set the scene. Above, the delicacies on view behind the server make our mouths water. The menu offers Italian classics such as arancini, pastas, pizzas and antipasto share platters. The produce used is local and seasonal and the food delicious and atmosphere vibrant. Of all the precincts, The City is the beating heart of Brisbane and holds the shopping centrepoint – Queen Street Mall, with its street brands and high-end stores. The heritage-listed Brisbane Arcade is worth visiting for its stunning timber panelling and local designers. At Macarthur Central, discover flagship stores like Apple and Ralph Lauren or browse the shops behind Wintergarden’s butterfly-studded kaleidoscope façade. The precinct also boasts the City Botanic Gardens. As for me, I sit of an evening in a bar in the centre of the street, sipping and watching the crowds milling past. Overlooking a panorama of the Brisbane River and Story Bridge, Eagle Street is the ‘crown jewel’ of Brisbane’s dining scene and, later that sultry evening, we enjoy an exclusive and elegant experience at Madame Wu, enjoying wonderful river vistas. Another precinct that we come to enjoy, since our guide Jane Hodges lives in the area, is Paddington with its typical timber Queenslander houses. (Some are built on stilts and seem to flow down the hilly terrain.) Once a workers’ suburb connected to the city by tramlines, Paddington today is a trendy bohemian enclave. The Paddington Antique Centre is choc-a-bloc full of stalls featuring artefacts, ancient furniture, jewellery and retro clothing. Some wonderful cafes line the street and we step into Anouk that reminds me of a Mumbai Irani restaurant. 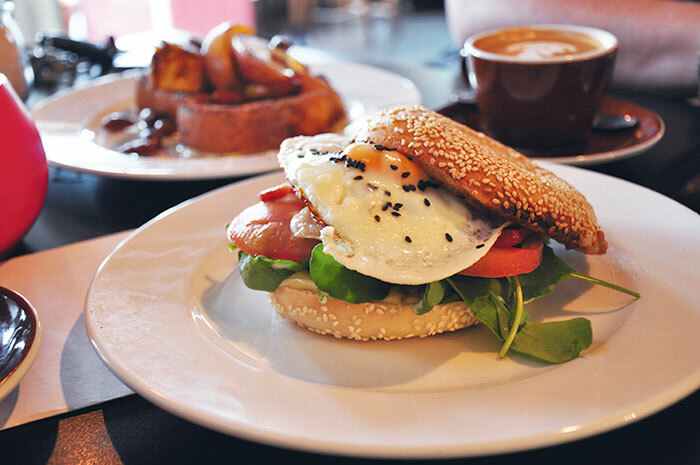 Earlier, we had chatted with owner Justine Whelan at her South Bank café, Champ, while indulging in warm scones and platters of fresh fruit and yogurt. The gorgeous restaurateur is excited about the food scene in Brisbane because people are breaking the mould here. 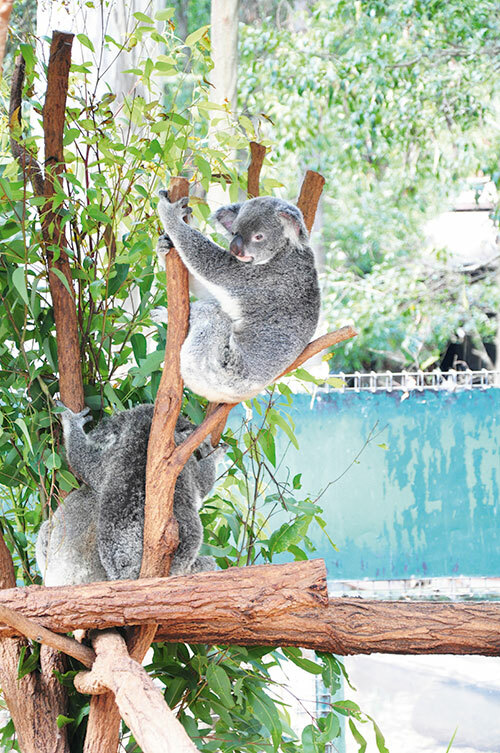 Of Brisbane’s many attractions, not to be missed is the Mirimar Cruise to the Lone Pine Koala Sanctuary. Brisbane’s famous riverboat MV Mirimar cruises some 19 kilometres upstream on the Brisbane River through some of the city’s attractive suburbs. We spot a cloud of flying foxes (fruit bats) winging their way alongside. An interesting commentary keeps us focused on iconic attractions. The world’s first and largest koala sanctuary with around 130 koalas is our opportunity to get close to Australian wildlife. I hug a koala and take a photograph; the animal feels wonderfully vibrant even as his claws lightly dig into my shoulders. In a large enclosure, some kangaroos eat from our hands. I manage to pet them and some emus. We encounter wombats, the Tasmanian devil and a platypus, leaving us happy for these wonderful animal encounters.